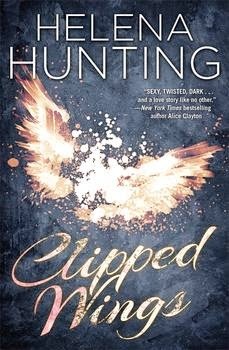 On Friday, April 11th, Author, Helena Hunting, will be chatting with Lori Ness from Northwest Prime radio in Seattle. 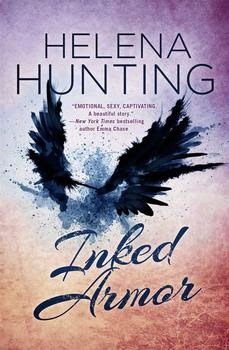 Helena will be talking about her first novel, "Clipped Wings", and the upcoming release of book two in the series, "Inked Armor". Lisa, from Fics2Flicks and 50 Shades Movie Fansite, will be joining Lori as her on-air guest host, asking Helena questions submitted by readers. All of us at Fifty Shades Film have been long time fans of Helena Hunting so we decided to get in on the fun with a GIVEAWAY!! Beginning Friday, April 11, you can enter the contest below for a chance to win one of the amazing prizes from Helena Hunting and Simon & Schuster! The contest runs through April 18th, with winners announced on Monday, April 21. Hayden "Cupcake" inspired treats including Cupcake Flavored Dental Floss and Cupcake Flavored Toothpaste. Listen to Helena Hunting's live interview with Lori Ness at Northwest Prime Radio on Friday, April 11th at 4:30 p.m. EST. Be sure to start sending your questions for Helena as well. You can tweet your questions to Lori at @iguestinfo or send them to her Facebook at Northwest Prime.